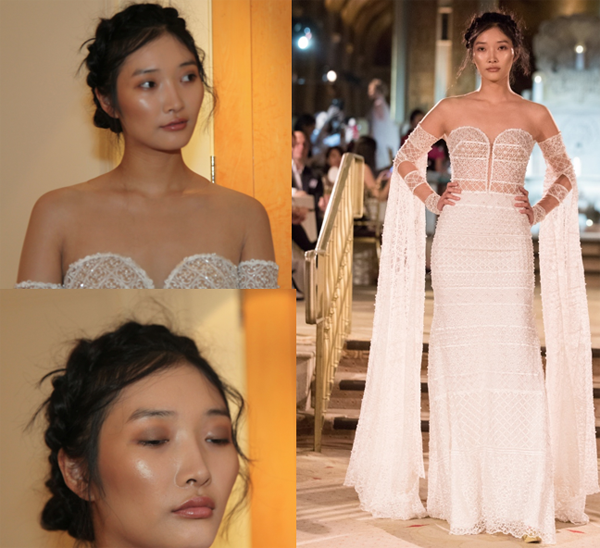 Posts Tagged "NY Bridal Week FW2018"
Home » Posts Tagged "NY Bridal Week FW2018"
Gorgeous gown from the Idan Cohen New York Bridal Week Show for Fall 2018 which was shown in the Plaza Hotel. The hair was by Wade Lee, with a braid circling the head, a chignon low on the nape and the makeup was by Regan Rabanal, faces bronzed on eyes, cheeks, lips. Stay tuned, more to come later from the dazzling Israeli-born designer and a hair how-to, in May.